The best way to get all the information you need to troubleshoot issues and mazimize performance. Apps, servers, routers, devices... it's all tracked in the logs. Consolidate the data into one place to see the full view of your environment. When working with enterprise-scale data, every second—or millisecond—matters. Simultaneously explore multiple indicators of compromise to find and fix performance-related events quickly before they impact your customers. Your logs serve as a start witness to the events occurring across your enterprise. When you have downtime or a performance issue, Graylog is just the forensics tool you need to analyze potential suspects, identify the root cause of the problem, and correct it at the source. Your operating system, applications, network, and infrastructure collect extensive log data 24/7. 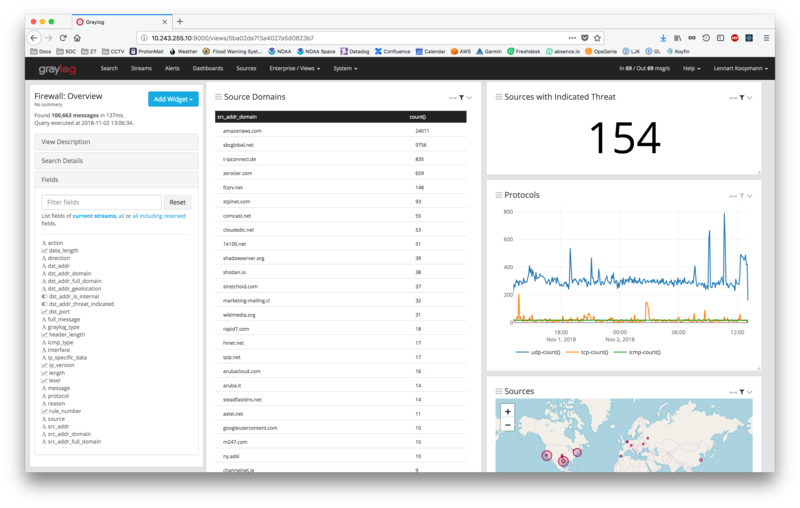 Graylog puts all that data in one place so you can find it, search it, and analyze it to reduce downtime and improve performance. Graylog's multi-threaded search finds what you need almost instantly across terabytes of data. Faster results means faster troubleshooting and resolution when you need to figure out the cause of outages, downtime, or buggy behavior, which are essential to keeping your business up and running. Graylog makes it easy to visualize and explore your data, even when you don't know exactly what you're looking for. With easy-to-construct search queries and crazy-fast results, you don't need to be a PhD data scientist to write queries or wait forever for results to return. With Graylog, in one screen, you can aggregate data from multiple sources, initiate a search across multiple parameters, and analyze, visualize, and report on the data while saving the search to reduce repeatable tasks. Trigger alerts when certain thresholds are exceeded or suspicious patterns are emerging, and use the views to respond to those alerts. All with zero training. 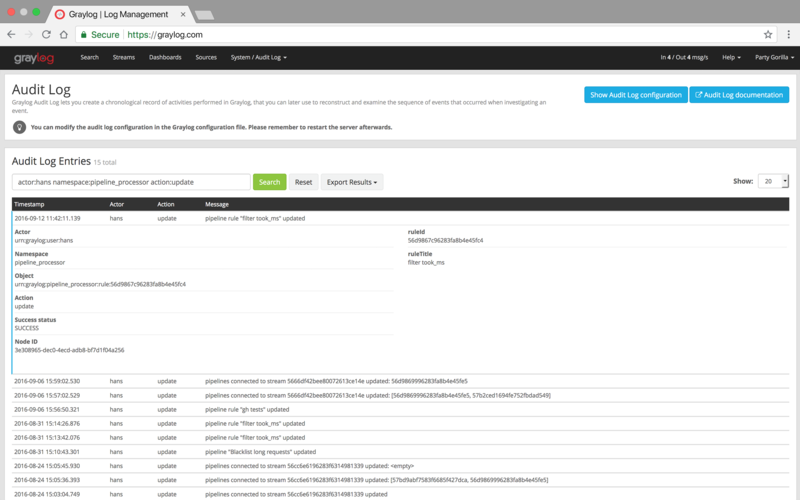 Customize Graylog to keep tabs on your environment, let you know when there's something you need to look at, and quickly conduct repetitive analyses.